Members of Rwandan opposition political parties FDU-Inkingi and PS-Imberakuri in 2012 in Rwanda. 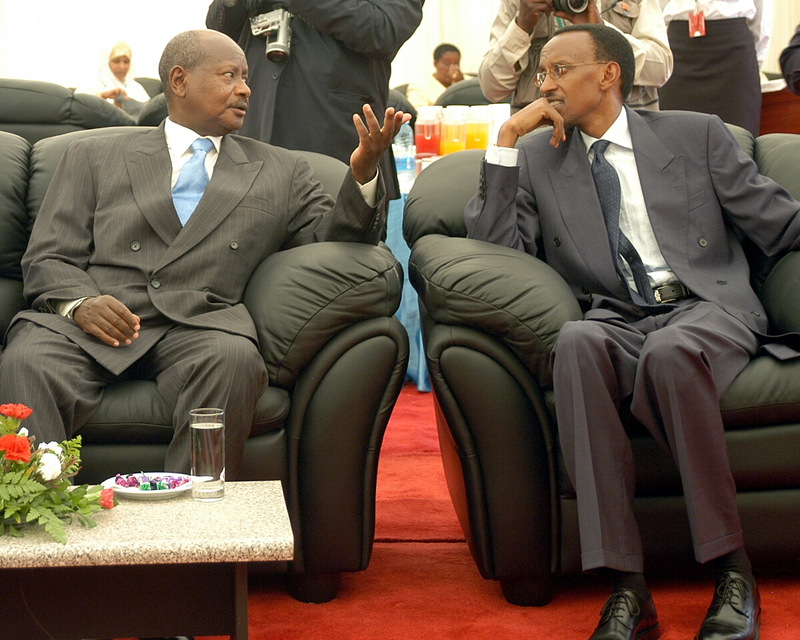 Joweri Museveni and Paul Kagame are the masterminders of the human tragedies of the last three decades in the Great Lakes region. As they say truth liberates. A saying which perhaps is today relevant to the situation of the Canadian journalist of “Rwando-Congolese” origin, Francois Bugingo. He is in the Canadian and other news nowadays. He could’ve saved a multitude of lives including his own that he instead condemned through his lies. Hutu refugees in the Democratic Republic of Congo [then called Zaire] after the destruction/ shelling of their camps with mortars by the Rwandan Patriotic Army/Alliance of Democratic Forces for the Liberation. This was in 1996. Since that time RPA/RPF has become almost a US subcontractor in the region, for its geostrategic interests. Nineteen years after, not much doesn’t seem to have changed except the time. The Hutu Rwandan refugees are treated by UN and some FARDC and Kigali as not worth existing as human beings. Africans should from now on get UN forces out of the continent. Everywhere they are, these forces have intervened so far, they are almost operating in complicity with imperialist powers and greedy locals to exterminate civilians so the beneficiaries can exploit available resources without interference of indigenous populations. 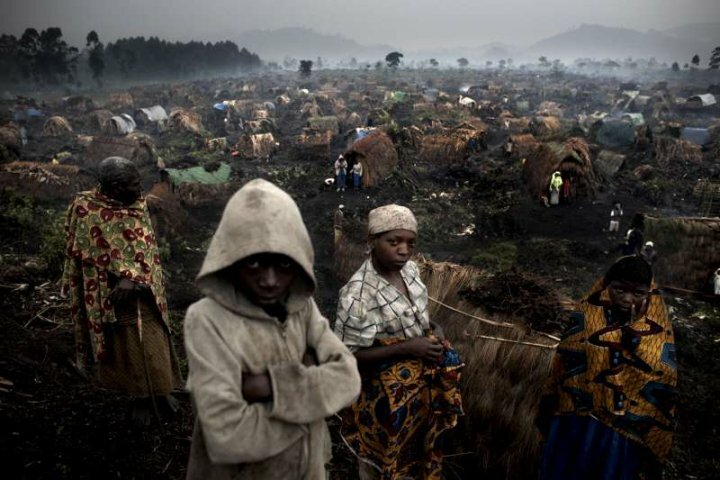 The tragic testimony of recently killed people and which is published by theRwandan is from an organisation – AFFERWAR-Duterimbere – working with vulnerable members of the Rwandan refugee community living in undescriptible conditions of the Eastern provinces of the Democratic Republic of Congo. During 2014 holidays I met outside Rwanda a number of survivor relatives from all over the world. We all after perillous journeys ended in different places. Some I hadn’t seen for years. I used to only see them online at particular occasions when their parents shared their pictures. As this was the first time in years I was going to be with them, I took with me a few gifts. Seeing these children in the clip living in such indescriptable conditions made me almost cry, looking at their circumstances – living in Congolese forests. I am Rwandan. 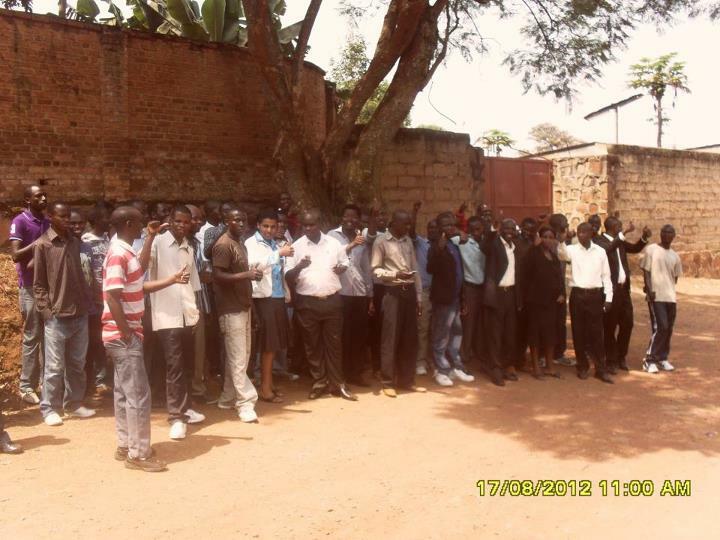 They are Rwandans. They are from my community. I felt compelled to donate something. I went on the website http://www.hope-ikizere.org and donated $15. That is what I could afford at the time. You could do the same, particularly if you are Rwandan. These children need a roof for their classes. They need books and other school material. Their dedicated teachers demand as well some motivation and incentives to do more. But what everybody is looking for is hopefully that they will be one day able to go back to their country, as soon as the Rwandan political space is opened by the Rwandan regime of Paul Kagame. 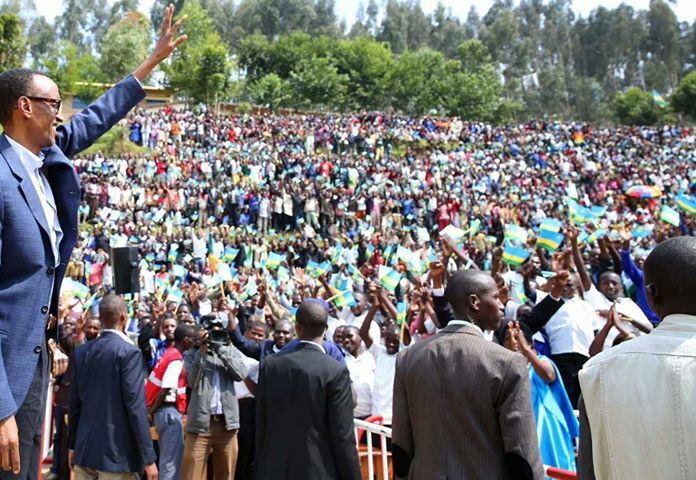 “La bataille de KIGALI tells the reader the role of major players in the crucial battle for the Rwandan capital city for ultimately Kagame to be able to stand tall in front of fellow Rwandans as in the picture.